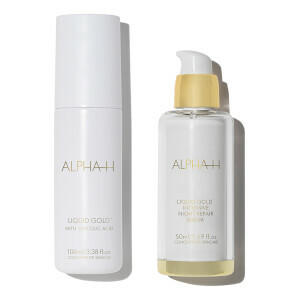 Transform lustreless skin’s aesthetic and texture with the Alpha-H Liquid Gold; an award-winning and revolutionary resurfacing treatment that works to brighten, clarifies and radically improves the overall appearance of the complexion. Fortified with a state-of-the-art, low pH delivery system and natural medicinal ingredient Liquorice, the brand’s bestselling cult-favourites works as an ‘overnight facial’ targeting and visibly diminishing the look of skin ageing, from fine lines and wrinkles to hyperpigmentation and UV damage. Enriched with Glycolic Acid, which is recognised for its rejuvenating qualities, the soothing blend gently stimulates the production of collagen for a firmer, tighter look. The multipurpose formula acts as a toner, exfoliator, serum and moisturiser, replenishing hydration and minimising enlarged pores for a smooth, even and plumped canvas that radiates youthfulness. Love this stuff can not recommend highly enough !! Cannot live without this now !! Great ingredient except the last five: citronellol, geraniol, limonene, citral and linalool. Why? Decided to give this a go despite not having sampled it, based on the marketing and number of good reviews. Quite disappointed that it didn’t deliver any of the wow factor of so many other AHA/resurfacing products I’ve tried. Subquently read around to find that I’m not the only one not to see it make any difference and have now stopped using it altogether as I have so many other better acid products on my bathroom shelf. I would recommend sampling to see if it works for you before investing in a bottle. I wanted to wait until I’d been using it for a few months before leaving a review. I’ve been using this for nearly 3 months now and I can honestly say it’s the best beauty product I’ve EVER used. I was suffering for years and years with bumpy, dull uneven skin, particularly on my forehead. I was getting desperate and saw this product had been recommended online as a miracle product so thought it was worth a try. I use this every night after cleansing and the bumps on my forehead have just disappeared! My skin feels so much smoother and softer and make up goes on so much better. I actually feel glowy for the first time ever. It’s like completely different skin. I would thoroughly recommend giving this product a try as it’s transformed my skin and my confidence! 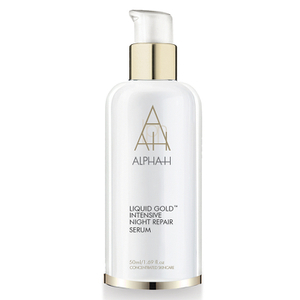 Also recommend the Alpha H balancing cleanser as I’ve started using this more recently and seems to be making my skin even softer. I bought this product when drunk online shopping on New Year's Eve based on the fact that it was so highly rated. I've been using it for the past week every second night and I have noticed my face is visibly more smooth. I'm not sure I look like a supermodel yet, but I have a six month old baby so until I start sleeping I'm not sure that it can actually work miracles on me. If you're looking for a product to brighten your skin and to make some marks seem a little less obvious then it's a good purchase. A friend told me about this and I gave it a go. It's just brilliant. My skin has never looked better; dark spots have significantly lightened and I have a glow I haven't seen for years. I will never be without this product again. This stuff is amazing! I suffer with tiny white heads under the skin that have been impossible to get rid of until I started using this it's not only got rid of them but has evened out my skin tone and I've only been using it a week. My skin feels so soft and I no longer wake up with an oily t zone. Would highlight recommend this to anyone! Could see the change and promote after first using. I have used it for about two weeks，and my skin has been turned into softer，brighter. The product does release acnes as well as pock mark. This really works. If I come up with a spot in the day I just put this on at night and it's either disappeared or almost disappeared by the next day. Have been using for a couple of weeks and my skin tone is definitely better.